Place 8 small cupcake baking cups on a small tray that will easily fit on a shelf in your freezer. Blend the first 3 ingredients together. 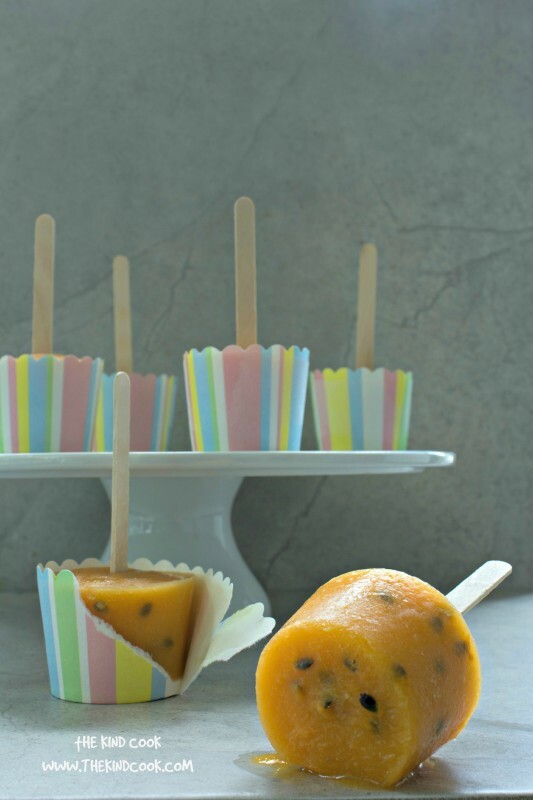 Whisk the passion fruit pulp through the blended ingredients. Pour the mixture into the baking cups. Place the tray in the freezer. Wait till the ice treats are partly frozen. Once they are, carefully insert a paddle pop stick into the centre of each baking cup. Then continue freezing until the mixture is completely solid. Time: 15 minutes preparation. Plus the freezing time.